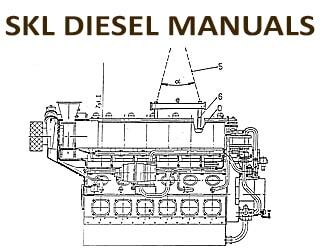 Many SKL diesels VD18/16, VD24/24, NVD26-2, VD26/20, VD29/24, NVD36-1, VD36/24, NVD48-2 and its modification manufactured by "VEB Schwermaschinenbau Karl Liebknecht" plant were installed on fishing vessels which were built in Germany (ex. GDR) and Soviet Union as main engine or auxiliary engines . 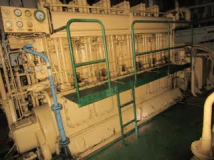 SKL diesel generator was installing on cargo vessels built in GDR. Piston for heavy fuel of the NVDS48 Today SKL Motor GmbH is subsidiary MTU. In September 2012 SKL Motor was renamed in MTU Reman Technologies GmbH and re-equipped for the standardized reconditioning of MTU engines and components. Many SKL models have two option. One option is for light fuel (diesel oil). Second option is for heavy fuel. Some parts are different. 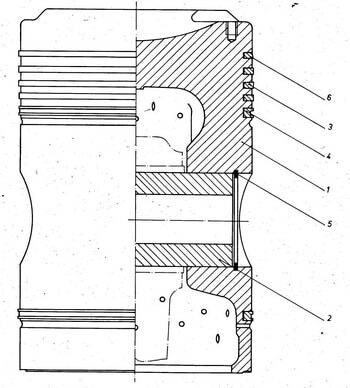 For instance the piston for 8NVD 48-2, 8NVD 48 A-2, 8NVDS 48-2 and 8NVDS 48 A-2 have the design differences. 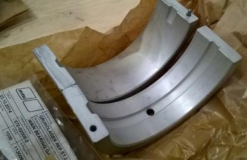 We are able to offer for 6VD26/20 AL-1, 8VD26/20 AL-1, 6VD26/20 AL-2 and 8VD26/20 AL-2 replacement parts in high quality standard and reasonable price. 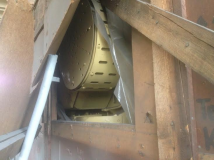 Many spares we offer from stock or the shortest times of readiness. Spare parts offers for SKL diesel engine. Complete engines. SKL NVD 48A Diesel Engine spares: Crankshaft (*), Piston, Bedplate (*), Bedplate (*), Crankshaft (*), Connecting rod (Used, without connection rod bearing), Cylinder Head (Reconditioned), Cylinder Liner (New), Camshaft (Used), Camshaft (Used). For more photos see attached PDF file. * Reconditioned, with GL Certificate. (8 VD, *). For more photos see attached PDF file. - Bedplate (Used) for SKL 6VD 36/24 Diesele Engine - 1 PC. - Cylinder Block (Used) for SKL 6VD 36/24 Diesele Engine - 1 PC. - Cylinder Block (Used) for SKL 6VD 36/24 1U Diesele Engine - 1 PC. 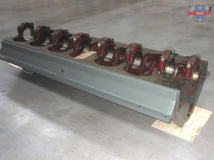 - Crankshaft (Used) for SKL 6VD 36/24 1U Diesele Engine - 1 PC.